More than 40 people have been arrested in just six weeks as part of an operation launched by Coventry Police to tackle violence in the city centre. The 43 arrests between January 1 and February 7 include 34 for drugs possession, four for robbery and two for knife possession – and it’s led to 16 suspects being charged and placed before the courts. 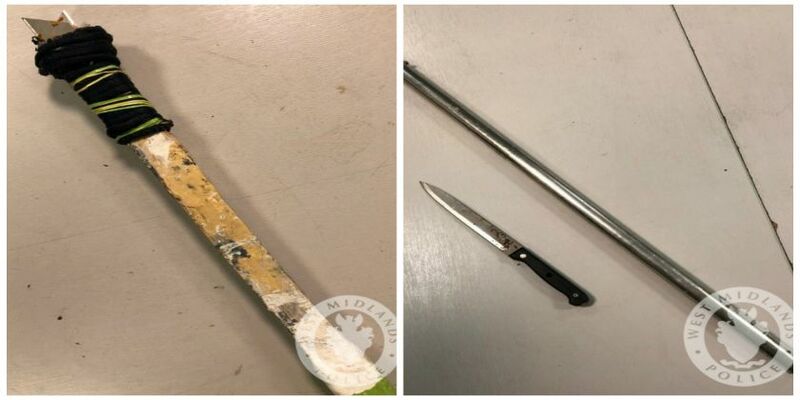 On Wednesday (6 Feb) a 17-year-old male was arrested and charged with possessing a double-bladed knife and nine wraps of Class A drugs. Other arrests include 21-year-old Sebastian Latusik – arrested on 24 January and charged with possessing a lock-knife – and 19-year-old Nasar Jabarkhail detained seven days earlier and charged with possessing 60 wraps of Class A drugs. The operation has also seen 25 vehicles seized and more knives recovered during ‘weapons sweeps’ of parks and open spaces in the city centre. Superintendent Phil Healy, said: “Tackling violence in Coventry has been made a West Midlands Police priority; it means the city is benefitting from a significant uplift in officers patrolling the city centre with traffic units, response officers, armed patrols and other support teams all increasing their presence here. “In addition to increased patrols and proactive operations, intelligence work has been going on behind the scenes to more accurately map the make-up of street gangs and organised crime groups operating in Coventry – and to disrupt their activity. Last week, Coventry Police and key partners came together at a Violence Summit in a bid to identify a collaborative approach to making the city’s streets safer. The aim is to create a taskforce comprising a range of agencies working to address the root causes of violence and intervening early in vulnerable people’s lives before they commit offences. People can call West Midlands Police on 101 or Live Chat via WMP Online between 8am and midnight. Alternatively people can call the charity Crimestoppers anonymously on 0800 555111; callers won’t be asked their names and calls can’t be traced.